Assigning tracks to the FL Studio mixer is an essential task you will need to know. 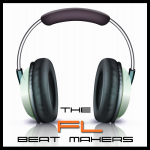 The FL studio mixer is a key component to getting good sounding beats. 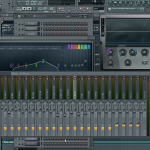 The FL Studio mixer is where you will add effects to your channels and tracks. This may include compression, EQ, limiting, reverb, delay, and much more. In order to use it effectively you will need to assign channels to the mixer. In this tutorial we show you a couple different ways to do this. One way will show you how to put your different channels and instruments on there own mixer tracks for further processing. The next way will show you how to assign multiple channels for one mixer channel. 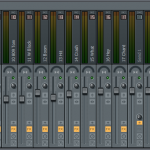 Assigning tracks to the FL studio mixer is a pretty simple yet very effective task. In the channel window there is a green LED next to each channel (when selected). In order to send tracks to the mixer the LED needs to be green. To activate it you can either left or right click. Left click allows you to activate one channel while right clicking will allow you to activate multiple channels. In this tutorial right click was used in order to send multiple tracks to the mixer at one time. Once you have the LED lit for each track that you want to send to the mixer, open the mixer. 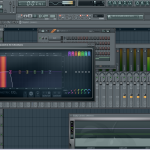 This can be done under the view menu in FL Studio. Once the mixer is open click on the first available mixer slot you would like to assign channels to. Right click on the available slot and choose Link selected channels, starting from this track. This method will assign each channel that is selected to its own mixer track for processing. If you want to route multiple channels to the same mixer track for similar processing right click on an available mixer slot, choose link selected channels, to this track.